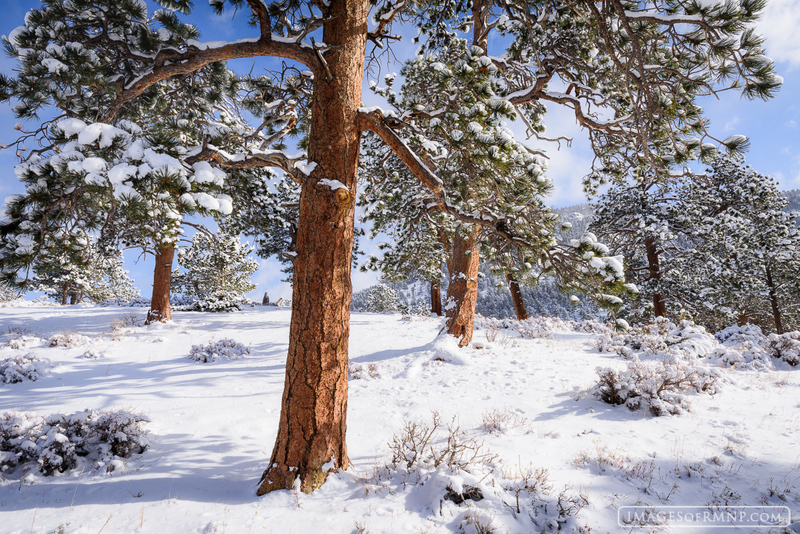 To me, there is almost nothing more joyful than seeing ponderosa pine covered in fresh snow with sunshine and Colorado blue skies. These scenes always bring a smile to my face and help me remember just how much goodness there is to be found in this world. Sure, there is plenty of pain and struggle for all of us, but there is real joy and goodness to be found as well if we open our eyes. Photo © copyright by Erik Stensland.